The middle school program has a rich history in instrumental music. Currently there are four 6th, four 7th and four 8th grade bands at the middle school level. Each band at the 7th & 8th grade levels performs throughout the year at many local concerts. 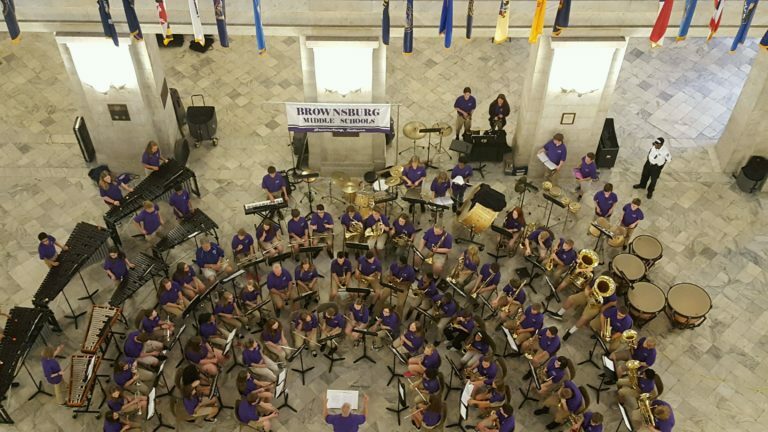 The 8th grade combined bands travel to St. Louis each year to perform at Keiner Plaza, Union Station, the Old Post Office Plaza and the historic St. Louis City Hall. The bands at the middle school level meet every other day.